Please forgive the very blurry marquee shot, but I couldn’t bring myself to stop dead (like a tourist) in the middle of a crowded sidewalk. 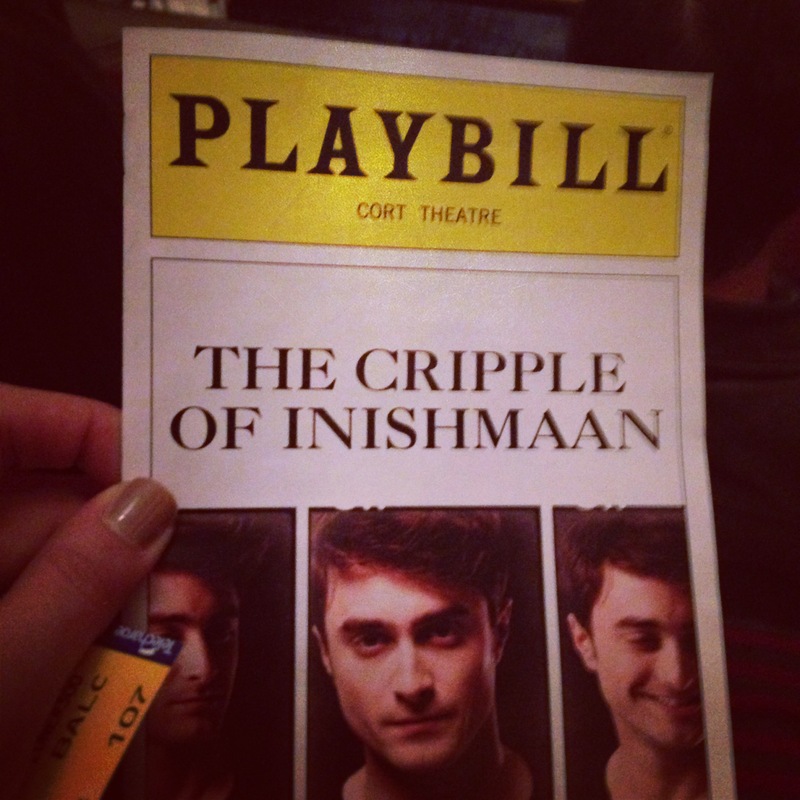 A few weeks ago I went to see Daniel Radcliffe/Harry Potter for the third time on Broadway in The Cripple of Inishmaan. I previously saw him in both Equus and How to Succeed in Business Without Really Trying. I had to brave the crowds of tourists along the “Great White Way” to see him once more. The play takes place on one of the Aran Islands, Inishmaan, around 1934. The islanders learn that Hollywood has come to a nearby island to film the Man of Aran (an actual fictional documentary) and everyone wants to play a part, even “Cripple” Billy. 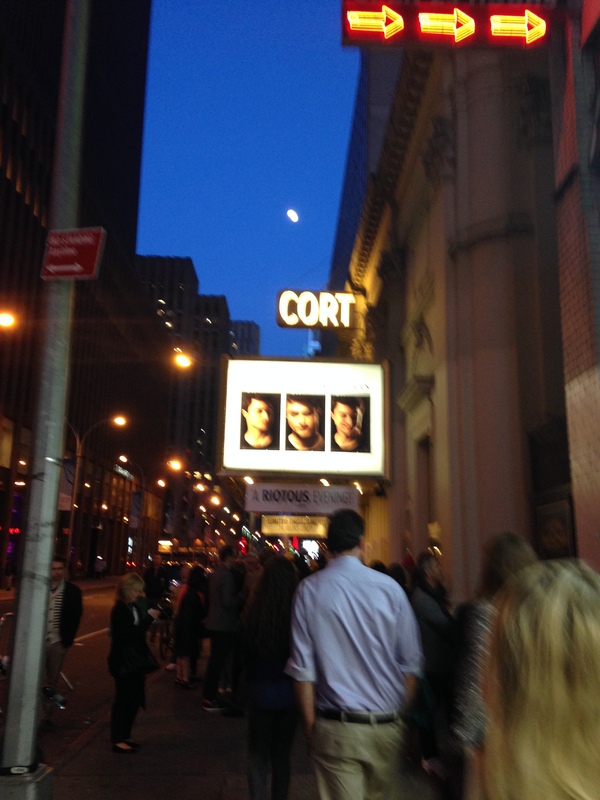 I really loved the play! I felt like it captured not only the absurdity of mundane small town life but also that particular Irish sensibility (see Father Ted right now if you haven’t). One minor detail that really brought the sense of place alive to me was the rock motif in the set design. It captured perfectly the rocky, desolate Aran Islands. It really made me miss Ireland, and I would highly recommend seeing it if you get the chance. 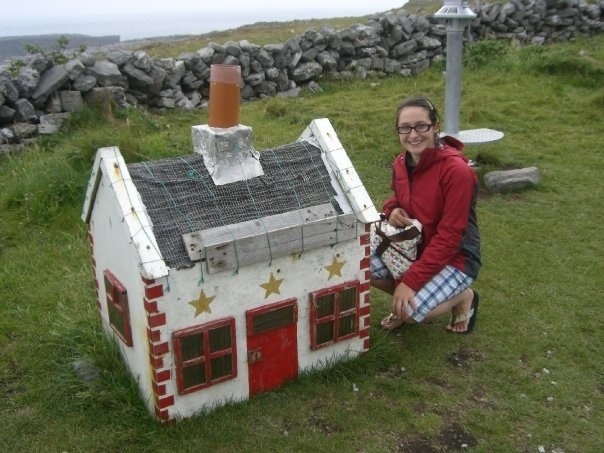 Here I am on one of the Aran islands with a “leprechaun” house, also known as a chicken coop.